Time and time again you've tried different women's sneakers and shoes for your outdoor adventures, but none have given you the trifecta you seek: comfort, durability, and protection. Sometimes you can find two of the three, but you have never had success in finding ... (see full details) (see specifications) #RB094. Time and time again you've tried different women's sneakers and shoes for your outdoor adventures, but none have given you the trifecta you seek: comfort, durability, and protection. Sometimes you can find two of the three, but you have never had success in finding all three. These Reebok All Terrain ESD Steel Toe Women's Black RB094 Work Shoes have it all. Let's start with the first of the trio: comfort. The exterior of these women's slip-resistant shoes is made from Ripstop fabric that holds tight to your feet. The seamless, close fit makes you feel as if you're hardly wearing all terrain shoes at all. In fact, you'll feel one layer closer to nature. The interior can also offer you comfort with MemoryTech footbeds. The footbeds bend and curve to the natural contours of your feet to give you immediate support. This fast-acting cushioned support makes sure your steps are properly supported, which will keep you moving longer. The second part of the trio, durability, can definitely be found in these women's steel safety toe shoes. The Ripstop fabric in the uppers works just as it sounds; it's resistant to rips and tears. It makes for the ideal uppers for these Reebok women's ESD shoes that will be used regularly outdoors. Beneath the Ripstop uppers are resilient rubber outsoles that don't damage easily, not even in nature. The last part of the trio these women's black shoes have to offer is protection, and it's certainly a characteristic you'll appreciate when you are engaging in outdoor activities. They designed with steel toe caps that meet the requirements for the American safety standard ASTM F2413-11 I/75 C/75 SD. The standard tests the steel toes for their ability to prevent harm to your toes in the event of drop impact and compression. These women's all terrain shoes are also static dissipative and feature strategically placed aggressive lugs on the outsoles to provide excellent traction and slip resistance. Their ability to resist slipping on slick or wet surfaces earns them the rating mark II low contaminant oily/wet .40. You'll certainly appreciate their ability to not fall victim to slippery surfaces because nature can throw anything your way unexpectedly. For outdoor adventures, there are no better all terrain women's slip-resistant shoes than these Reebok All Terrain ESD Steel Toe Women's Black RB094 Work Shoes. When you order them here at Working Person’s Store, you'll be getting the trifecta in footwear: comfort, durability, and protection. 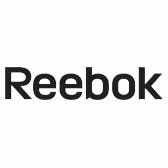 Reebok Shoes: All Terrain ESD Steel Toe Women's Black RB094 Work Shoes is being added to your cart.